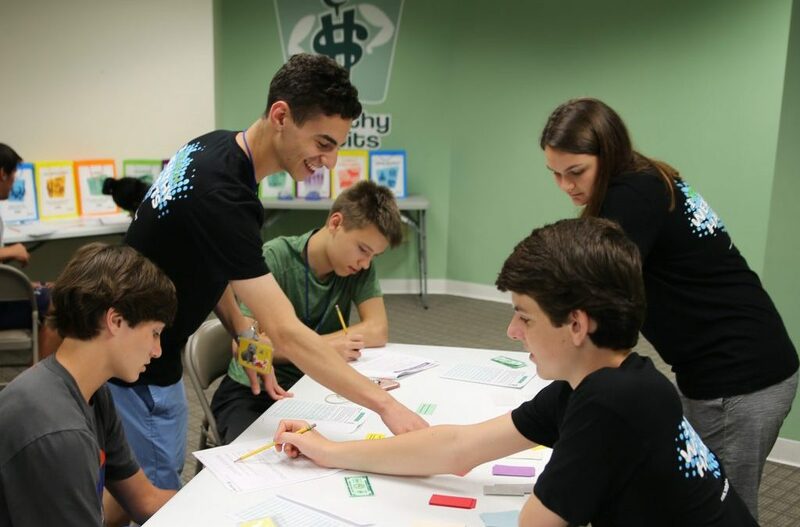 April is national financial literacy month and a perfect time to evaluate our money habits and to make sure we are putting our best foot forward in teaching our kids good money habits. When I was young, I remember my parents responding to my asking for something with the phrase, “We don’t have the money.” I would then see them writing a check or swiping a credit card to buy something else. It seemed odd to me and made me feel like they weren’t telling me the truth. Parents have a tendency to think they are protecting their kids by shielding them from money issues, but the reality is that if we are honest about our mistakes as well as our triumphs, they will learn better money habits. If they aren’t learning it from us (parents), they will be learning it from their friends!! As my kids started asking for things (middle school age), I would respond with, “I have the money to buy that, but that’s not how I want to spend it.” We would then have the discussion that if they wanted those things they needed to figure out how to earn the money to get them. Now that my two are 20 and 22, they are in college, living independently and figuring out how to get the things they want while I focus on saving for my retirement. It is a great feeling when parents and kids can share in the pride of the other’s accomplishments.